"The thing is that the way the FedEx Cup points structure works, if he can cure the problem in the next couple of weeks he could yet contend for the game’s richest prize." It was Tiger Woods who was chiefly responsible for the Saturday of any golf tournament becoming known as "Moving Day" - the day when you set yourself up to pull on the red shirt and dominate the last round. Sadly for Tommy Fleetwood he seems in danger of turning it into "Moving Backwards Day" instead after yet another tournament when he's undone the hard work of the opening two rounds. 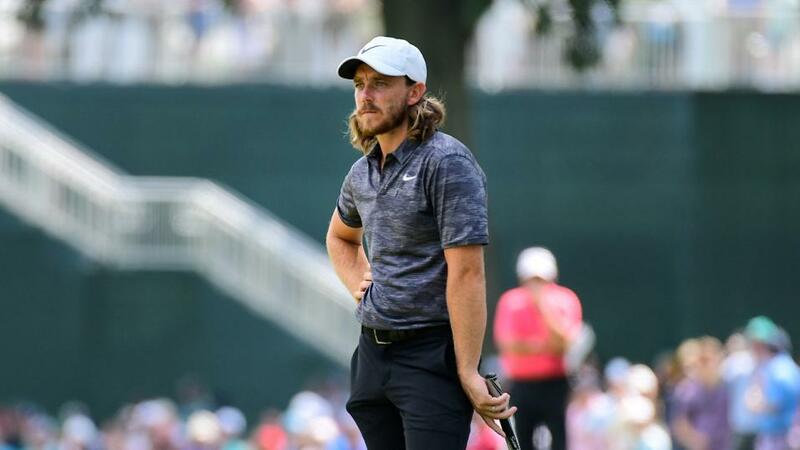 Fleetwood was in a superb position to contend in the Northern Trust when he walked to the first tee on Saturday, and even better when he'd sunk a couple of early birdies. Instead he got himself in a right mess taking a double bogey at the par four sixth and then missing from a yard at the sixth to drop another shot. All of a sudden he was playing catch-up again. And if he did do that brilliantly to end up carding a final round 68 and another top 20 finish, there was still the sense of what might have been as he watched Bryson DeChambeau walk off with the trophy. It's hard at times to know what to make of Fleetwood's 2018 campaign. You can't call it a bad year, with a succession of good performances in big events and plenty of top 20 finishes on both sides of the Atlantic. After winning the Race to Dubai in 2017 he's undeniably kicked on, taking the brave decision to play more in America - one that's been rewarded by seeing him rise to his current status as number 11 in the world. He's certainly the man most likely to provide the best European challenge in this week's Dell Technologies Championships in Boston, with it's unusual Friday to Monday format. But if like me you've started to back him regularly because he still commands good odds, you'll know that too often there has been a sequence of three or four holes that have left him on the outside looking in, with his nose up against the shop window for the biggest prizes. To be fair, it hasn't always been on the Saturday. There were the four shots dropped in three holes at the start of the final round at Carnoustie that blew away his chances there. He has continually deserved credit for fighting back from each aberration, most notably the brilliant final round 63 that saw him take second place in the US Open. But the sudden bad patches can cost very dear, very quickly, and it must be bitterly frustrating for the 27-year-old however much he tries to hide that behind his beaming smile and affable nature. The thing is that the way the FedEx Cup points structure works, if he can cure the problem in the next couple of weeks he could yet contend for the game's richest prize. He goes to Boston in 23rd place in the rankings, so barring an absolute disaster should be assured of making it through to the last two stages. And while he may be 2,323 points behind DeChambeau at the moment, one big performance can close that gap very quickly - call it Moving Day if you like.